Jose Mourinho has warned Arsenal that his Chelsea side will head into Saturday’s Premier League clash at Stamford Bridge with a “different feeling” after their Champions League win in midweek. Mourinho’s side secured a 4-0 victory over Maccabi Tel-Aviv on Wednesday night as they returned to winning ways and got their group-stage campaign off to a winning start. The Blues have made a stuttering start to their Premier League title defence, with the west London side slumping to a 3-1 loss to Everton last weekend to leave them 11 points behind leaders Manchester City. Chelsea have only taken four points from a possible 15 after their opening five games of the new campaign. However, the Portuguese coach insists that his side are now relishing the prospect of taking on their “great rivals” Arsenal at Stamford Bridge this weekend as they look to kick-start their season. 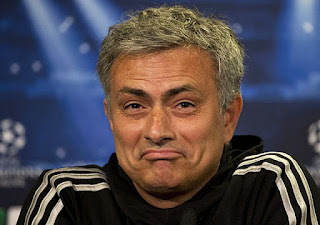 Mourinho told Chelsea TV after Wednesday’s victory over Maccabi Tel-Aviv: “We come with a different feeling. “We can wake up with a different state of mind. Saturday is a big match – it’s a great rival.